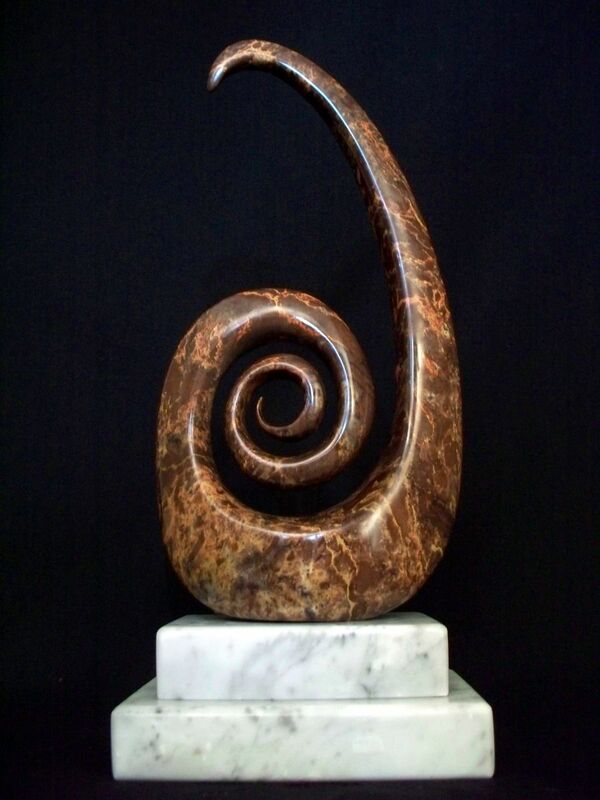 This symbolic sculpture was carved from an especially nice piece of Japanese Pyrophyllite. This type of stone is also known as wonderstone. It is mounted on a marble base. 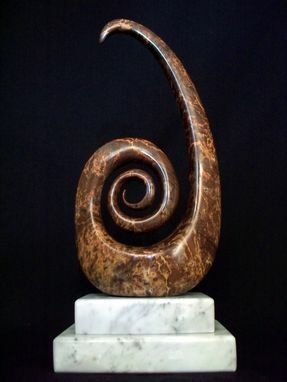 Pyrophyllite is a relatively tough/not brittle stone, but, carving this spiral was a delicate opperation. (I like to push the stone to its limits).